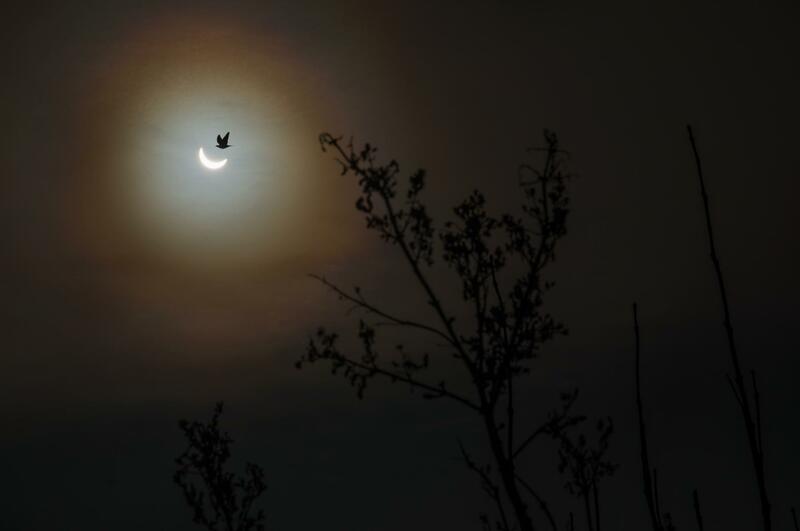 Photographer Amy Shore took this well-timed photo of the eclipse and a perfectly placed bird from her backyard in Leicestershire, England using a Nikon D600 with an 85mm Sigma lens. Her settings were ISO 50, f/16, and 1/4000 of a second. It’s a truly impressive look at a rare phenomena. Did you get any shots of the eclipse? Share your results in the comments below!